As a lover of all things sport since a child, my entire life has been shaped by decisions motivated primarily by how I might continue to play or be involved in competitive athletics. It might come as little surprise, then, that my most recent (and with any luck final) professional relocation to work at Texas Tech University was at least partially motivated by a desire to provide additional athletic opportunities for my children should they choose to play sports, too. Compared to my family’s previous home, west Texas provides significantly better opportunities, coaching, and facilities for most team sports, and Lubbock also affords access to other potential athletic exposures simply not possible where we lived before. Simply put, should my kids decide to play or compete in just about anything short of surfing, Lubbock offers them a better chance to maximize their abilities. And so far, they have both taken a liking to softball (daughter Brynnan, age 7) and baseball (son Taye, age 4). That said, in my role as the IYCA’s Director of Education, as a scholar, and as an athletic trainer and a strength and conditioning specialist, I have staked my reputation behind the simple belief that early sport specialization is detrimental to the long-term success of most developing athletes. Despite the growing trend of professional level coaching, year round travel and elite teams, and high dollar training centers catered specifically for youth, I believe that the science supports multilateral skill acquisition over early specialization any day. How can I then espouse such beliefs on one hand yet subject my own children to the very same well intentioned yet subtly misguided behaviors on the others? The short answer is I don’t. If you’re a sprinter or sprints coach who starts getting ready for the indoor season during the fall (or for spring during the winter, etc. ), here are my Top 5 Offseason Training Tips. Keep these in the front of your mind and you’ll set yourself up for another season of bringing shame upon the masses. Notice I didn’t say ‘Goals’. I don’t believe in goals. Goals are things that never actually happen. Like the dream you had last night. And tomorrow. Expectations eliminate wiggle room, excuses and sad stories. Young athletes have lots of these. So I simply don’t allow them in my program. Think about it. Which athlete do you think will win the big race today? The athlete with a goal: ‘My goal is to win today’. Today I’m going to explain why having your athletes do ‘fly 40s’ during the first week of practice is a mistake (no matter which sport you coach or compete in) and what you should be doing instead. To do a workout like this so early in the season shows a frightening lack of coaching knowledge and effort . But, fundamentally, it ignores the First Law of Speed Development. The dividing line between ‘good’ and ‘bad’ (if you believe in such concepts) coaches starts with understanding that running fast requires developing technical skill in your athletes, regardless of sport. First, we need to understand how the human body works during movements. In a nutshell, the central nervous system (brain and spinal cord) controls the muscles so that they can move efficiently to use energy wisely and to avoid injury. The central nervous system, in turn receives information about what’s happening from the muscles. Because of this process, movement patterns become important. This will be the first of two parts, exploring the connections between social awareness and bullying / exclusion. The purpose of this first part is to call out the issue in the larger scope of the lives of children / teens. The second part will explore some ways those of us who work with children can attempt to change the landscape as it currently exists. Since these articles are appearing in a blog, they will obviously not be a full dissertation, exploring every detail. The purpose here is to start a valuable discussion. A significant feature of the play environment we provide our children these days is exclusion (from coaches and teams) and bullying (from both peers and coaches). Children who don’t make a team are already made to feel “less than”. Many coaches and teachers tend to value the more talented children, even to the point of excusing certain behaviors. 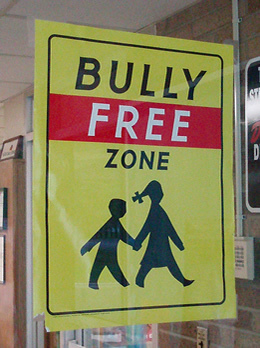 On the flip side, many coaches and teachers engage in bullying behaviors. Yes, these issues have been around for a while, but have greater consequences now with the electronic age. Social media and modern communication devices confer the ability for bullying and exclusion to follow a child around, literally. The obsession we have with elitism, and promoting the elite performers of sports almost exclusively, also may contribute to the behavioral trait of subjugation and ridicule of others. As I have shared here before, I just started a new job at Texas Tech University. During my first week on the job, we had a record high temperature on Monday, record snowfall on Wednesday, and fired our long-tenured and fan favorite head football coach. What a week! At any rate, I am settling in and getting ready for the upcoming spring semester.